Never has a mass been sung in this manner. These young vertuosi feel so patently free. There is a reason. The ways of their ancestors were respected by this stranger, the white priest from Belgium . . . Unlike most missionaries, this one came to learn as well as teach. – Studs Terkel, liner notes to Missa Luba. There are some pieces of music that serve as cornerstones in a person’s taste in music, as well as revealing a bit about the listener’s personality. For me, Missa Luba: A mass sung in pure Congolese style and native songs of the Congo sung by Les Troubadours du Roi Baudouin, the Philips Connoisseur Collection 1965 U.S. release, is one of those works. Missa Luba is divided into two parts with native Congolese songs followed by the eponymous Catholic mass with traditional verses in Greek and Latin set to Congolese music. 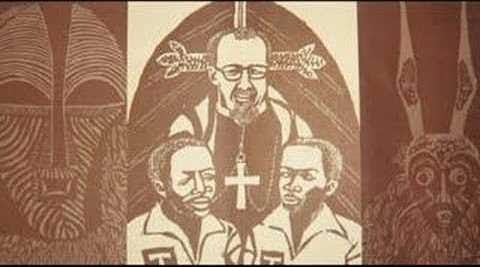 The work has its origins dating back to September 1953 when Father Guido Haazen, O.F.M., was appointed Director of Kamina Central School in what was then the Belgian Congo, now the Democratic Republic of the Congo (McDaniel 1). Shortly after his appointment, Father Haazen gathered approximately fifty schoolboys, ages 9 to 14, into a choral group to sing traditional songs. In 1955, Father Haazen presented an album of the group’s work to King Baudouin of Belgium, who in 1956 permitted the group to call themselves Les Troubadours du Roi Baudouin (King Baudoin's Troubadours). Missa Luba was composed and arranged in 1957 and likely first performed in public in 1958 (McDaniel 2). In 1958, Philips Records released the album to the European market, followed by the U.S. release in 1965. Music from the album has been featured in several films. Notably, the “Sanctus” was featured in the 1968 film If . . . starring Malcom McDowell, who also walks by the album in a scene in A Clockwork Orange (1971). Ironically, it is the movie If . . . , a film with a notoriously violent ending, that inspired many young people at the time to discover this peaceful album for themselves. African melodies can be categorized as pathogenic and logogenic. Pathogenic, or “passion-born,” has a melodic contour that consistently descends until the end of the phrase or melodic range when the instrumentalist or singer skips an ascending interval in order to pick it up again at the top of the melodic range (McDaniel 5). Pathogenic melody could be an evolution of primitive “scream-singing” dating back to the Paleolithic era (Sachs 51). Logogenic, or “word born” melodies are common among the Bantu family of languages. These are “tone languages” in which the meaning of a word changes depending on the pitch of the vocalization. With as many as nine pitch levels in some Bantu languages, the meaning of a single word can be very layered (McDaniel 5). The combination of pathogenic and logogenic melodies are what differentiates African music from its Western counterpart. These melodic mechanisms are combined with the complex African asymmetrical hemiola rhythmic style, which is noted for its “addictive rhythm” qualities (McDaniel 13). In short – the melodies draw us into the music and the rhythm keeps us there. from a booklet enclosed with the album. Today, the Congo and its people stand at the doorway to a new life. Plagued, or blessed (as the case may be), with Western civilization, Africa, shaped roughly like a question mark, lies in the equatorial sun . . . waiting . . . for tomorrow. – Studs Terkel, liner notes to Missa Luba. Missa Luba arrived during the twilight of European colonialism on the African continent. Two years after the mass debuted, the Belgian Congo achieved its independence in 1960. Between 1956 and 1966, thirty-six other former European African colonies also won their sovereignty. 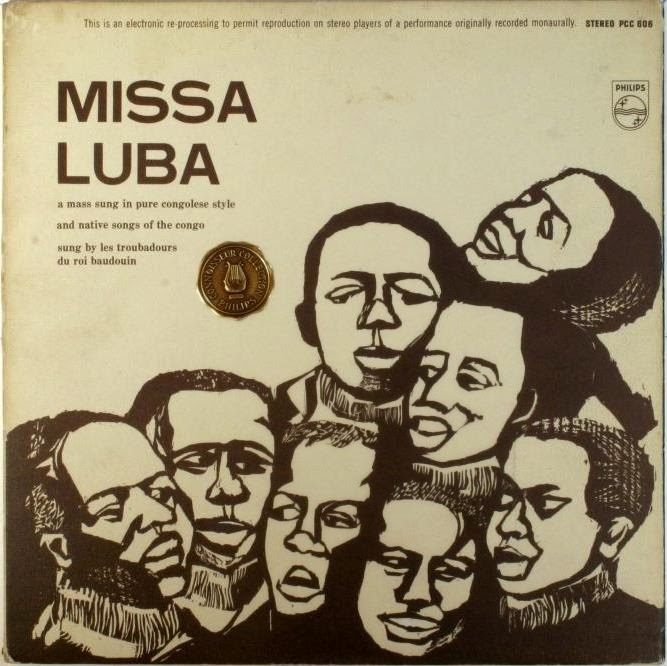 In this way, Missa Luba is a manifestation of burgeoning African nationalism and the album introduced Western audiences to the inherent beauty of the culture. Since then, however, as with many nations in the Central African region, the Democratic Republic of the Congo has been racked by forces competing for control of its rich natural resources. It is easy to objectify the Congolese people as just faceless victims in a situation beyond our control, but whenever I listen to Missa Luba I am reminded of the transcendent power of music and saddened that its transcendence is as intangible as the air on which its sounds travel. School of Music of the University of Rochester. 8 Jan. 1973.
of the Congo Sung by Les Troubadours du Roi Baudouin. Per. Les Troubadours du Roi Baudouin. Phillips, 1965. LP.